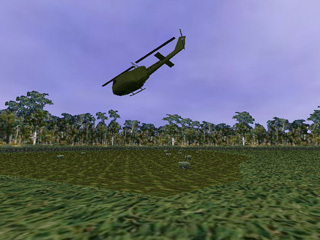 From June 1997-May 1998 I was the project manager for the development of “Virtual Vietnam”, a virtual reality simulation of Vietnam War combat. The application was created to treat veterans suffering from post traumatic stress disorder, a debilitating psychological condition. The system was used extensively by psychotherapists at the Atlanta Veterans Administration hospital. 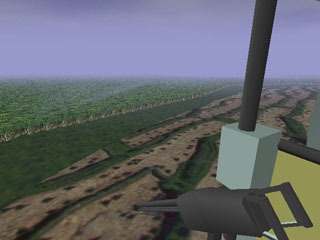 Two environments were developed. 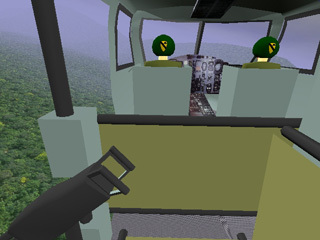 One environment allows a user to wear a virtual reality helmet and ride a combat helicopter. 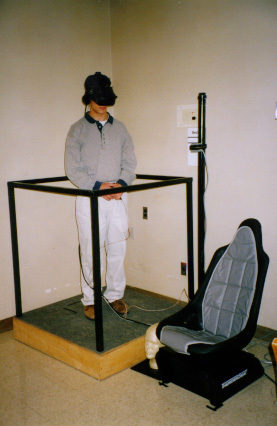 In this scenario, the user would sit in a subwoofer equipped chair to simulate the vibrations experienced in flight. 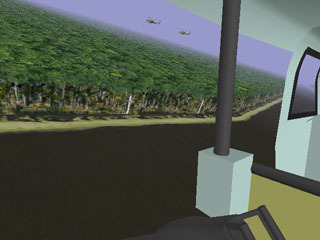 In a second scenario, users would stand and utilize a joystick to walk through a hostile helicopter landing zone. Philip Hebert was the project’s lead programmer. Upon completion of the project, Philip joined Red Storm Entertainment where he worked on the hit “Rainbow Six” tactical combat game. 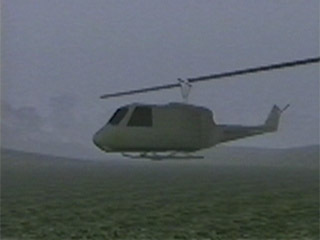 Brian Wills served as a 3D artist on the project. 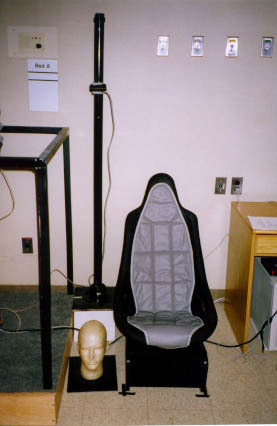 In 1998, Dave Gotz programmed a number of additional features based on user feedback. 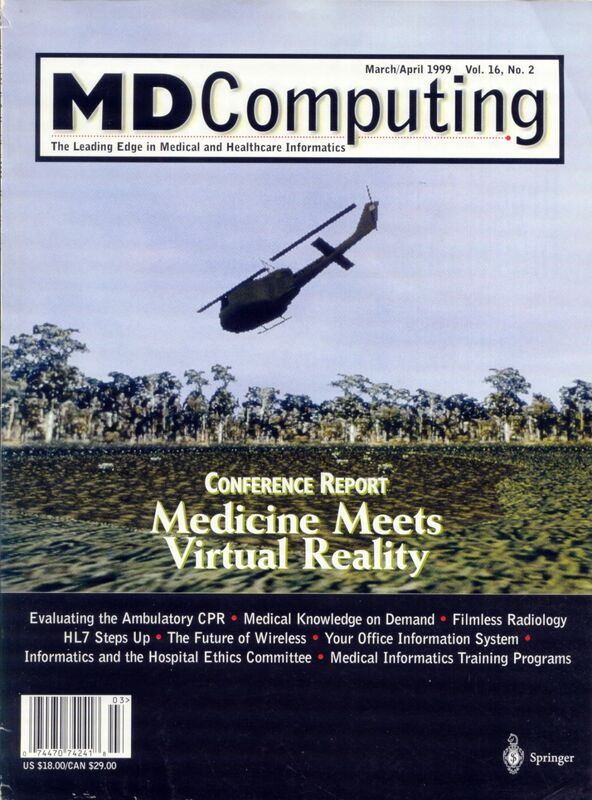 The project was led by Dr. Larry Hodges, director of the Virtual Environments Group at the Georgia Tech Graphics, Visualization, and Usability Center. 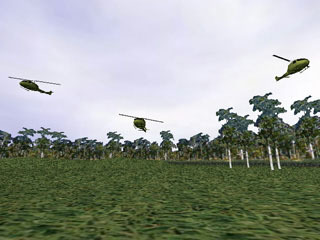 Virtual Vietnam was also referenced in the 1999 documentary “The Story of Computer Graphics”, narrated by Leonard Nimoy and presented by ACM SIGGRAPH.